There will be an inspection of Delhi Metro's Pink line, from Durgabai Deshmukh South Campus to Lajpat Nagar stations on July 23. 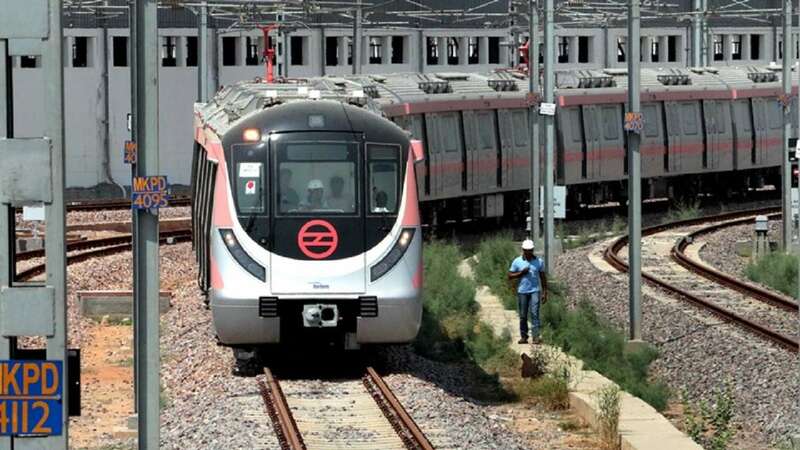 New Delhi: The Pink Line is the second new line of Phase III of Delhi Metro which was partially opened on 14 March 2018. There will be an inspection of Delhi Metro’s Pink line, from Durgabai Deshmukh South Campus to Lajpat Nagar stations. The inspection will be done by the Commissioner for Metro Rail Safety (CMRS) on July 23. The inspection will concentrate on the way for the opening of the section, which is likely to be inaugurated early next month, the official said. This stretch will have two interchange points INA and Lajpat Nagar. There are six new stations on this 8.10 Km stretch which are are Sir Vishveshariah Moti Bagh, Bhikhaji Cama Place, Sarojini Nagar, INA, South Extension and Lajpat Nagar. 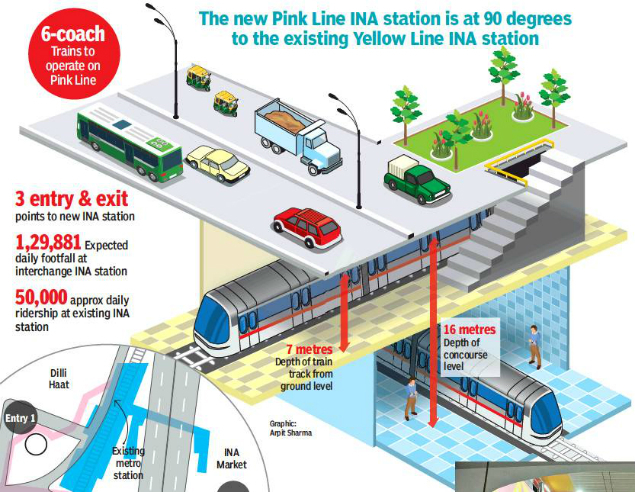 The INA commuters now an can easily interchange with the Yellow Line and Lajpat Nagar station with Violet Line a big congratulation for all the shopping lovers for connectivity for two big hubs of shopping. Another achievement of DMRC as with the opening of this section, the Majlis Park to Lajpat Nagar section will become 29.66 km long and the entire operational project of the DMRC will reach 296 km with 214 stations. Pink Line of Delhi Metro has not only extended the network of Delhi Metro but has also facilitated the commuters in large scale. Pink Line is connected with almost all the Line of Delhi Metro which has saved the time of commuters. Now it will be very easy for commuters to interchange line as Pink Line interconnects almost all the line of Deli Metro. It connects almost all the line of Metro at Azadpur for Yellow Line, Netaji Subhas Place for Red Line, Punjabi Bagh West for Green Line, Rajouri Garden for Blue Line, Lajpat Nagar for Violet Line, INA for Yellow Line and soon Mayur Vihar-1 for the blue line. Richa Bhateja is working with Metro Rail News as Media Intern and She is currently pursuing Bachelor in Journalism & Mass Communication (BJMC) from Fairfield Institute of Management & Technology affiliated to Guru Govind Singh Indraprastha University, New Delhi. Kochi Metro to set up a parking lot for cycles at the stations.